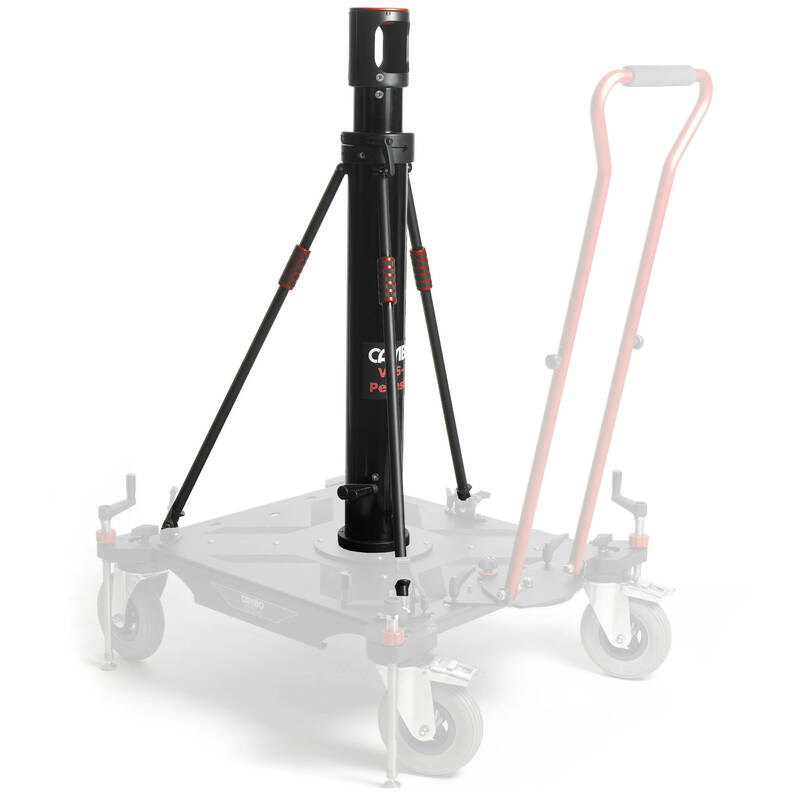 The Cambo VPS-4 Heavy Duty Pedestal mounts on Cambo's VPD-4 Dolly and allows you to attach large and heavy cranes. The dolly and pedestal together support loads up to 440 lb. The pedestal center column is height-adjustable from 50" to 71" above the ground when the dolly is outfitted with pneumatic tires. The VPD-4 Dolly is sold separately.